Guide by Cell’s suite of services offers so much more than simple audio guides for your cultural institution. From on-demand content creation to communication via text message with distribution lists or individual visitors, to audio, interactive and GPS-based tours, no other company provides as many different services. 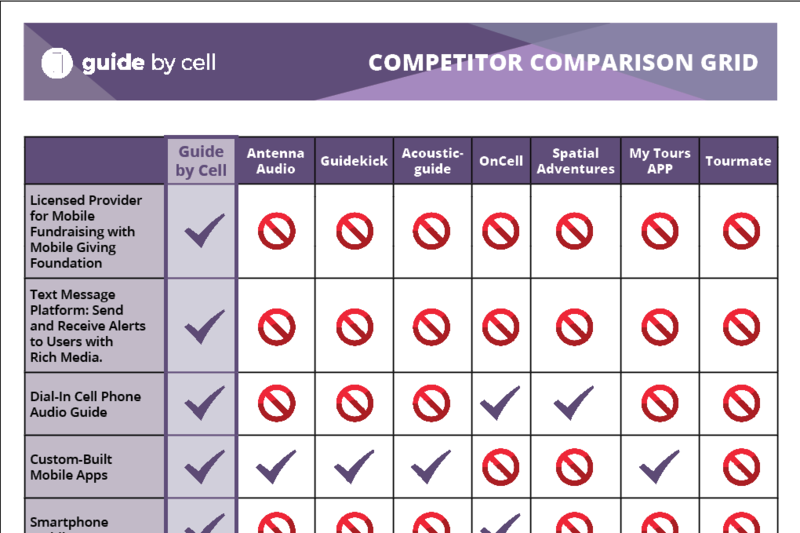 See how we compare to our competitors with this comprehensive guide. Email Guide by Cell at info@guidebycell.com or call us at 415-615-0150 to set up a free demo.